Have We Reached a Post-Cornel West Era? This has not been a great year publicly for Cornel West. Based on a few surly Facebook posts, West has come off as the old man next door yelling at the neighborhood kids to get off of his lawn. The resounding death knell for West in the public eye came in the polarizing essay “The Ghost of Cornel West” by his former student and now Georgetown professor Michael Eric Dyson. Perhaps it functioned as a premature autopsy of man who we have seen ascend to the highest heights of public intellectualism or a biopsy of a man who somehow find his way on the bottom rung in the eyes of the public. Mr. West did what had not been seen in America before: he was a celebrity intellectual and he was black. It was also a positioned he maintained well through the 1990s up until the election of President Barack Obama. While his voice may be tarnished, West still exists in the public eye with a certain unabashed exuberance that makes him hard to ignore, but easy to dismiss. Most recently he’s been visible on the front lines of protests in Ferguson, Mo. over the past year that have led to his arrest more than once. Most recently he was arrested in protests marking the one-year anniversary death of Michael Brown, the unarmed teenager shot by former Ferguson PD officer Darren Wilson. Prior to that he had posted a not-to-pleasant review of Ta-Nehesi Coates much-anticipated book Between the World and Me. Such a Facebook post that left an unpleasant taste in the mouth of many of this current millennial generation. With an assured determination, Mr. West has maintained his own personal demeanor and in a sense “kept his head down” and “ignored the haters” who have grown almost exponentially since 2008. After Mr. West went public about his disagreement on policies with President Obama, he found himself on the so-called wrong side of black politics. West stood in diametrical opposition to those that were not quick to denounce Obama administration policies rather opting to point out the inaction of Congress and the fierce hatred for President Obama evidenced by the creation of the tea party movement. However, to highlight Mr. West for his public complaint about not receiving inauguration tickets after campaigning for Obama over that of his criticism of Obama’s Wall Street policies looking out for the “plutocrats and oligarchs” and most certainly his bringing on Lawrence Summers—the former president of Harvard whom he and West had a public disagreement—is to utterly not know who West is. And that is unfortunate. Cornel West is a democratic socialist. Simply stated West politically advocates for a democracy and economically supports a socialist economy. This is a buttress to his Afro-Marxist political thought, his philosophical leanings as a pragmatist and casting his anchor down in the black prophetic Christian tradition. Understanding that, it becomes less of a mystery why West ideologically is opposed to many of the policies of an Obama administration. What is unfortunate in such a time as this is that his voice has become tainted at a moment in which one of the front runners for the Democratic party, Bernie Sanders, is a self-avowed democratic socialist as well. The entire corpus of West’s work spanning close to 35 years has largely criticized the market forces of capitalism that from his perspective have allowed white supremacy, racism, homophobia, poverty and gender discrimination flourish in our country. This has been his wheelhouse for the duration of his public career, and there has not been anything that has really steered him from this course. In a presidential candidate field that is extremely crowded on the Republican side and nothing short of interesting on the Democratic side, West’s voice is uncharacteristically silent. While he has been clearly aligned himself with the political activism surrounding Black Lives Matter, Cornel West the celebrity public intellectual whom this country had grown to love, then hate has suddenly become silent. Colleagues of mine have made the argument that for someone who published Race Matters that that is enough intellectual work for a lifetime therefore letting him off the hook for any further intellectual production. Anyone who reads his early work such as Prophesy Deliverance! or The American Evasion of Philosophy and his numerous essays there is no question that West is fully capable of doing the intellectual work, but one can’t help but question why the silence now. In a digital age where the transmission of thoughts and ideas happens on Facebook threads, connections are made in comment sections of blogs and news articles on predominantly black media sites such as The Griot or The Root and networking occurs through the magic of re-tweeting, West has clearly not opted to engage. His Facebook posts are sporadic and rarely about distributing new ideas and his Twitter feed is less so with only 19 original tweets in the calendar year of 2015. One of the challenges with public intellectualism, and one that has been noted is the ways in which intellectuals occupy certain types of public space. MSNBC host and Wake Forest professor Melissa Harris-Perry wrote that “so much of the most valuable intellectual work happens in spaces that are only nominally public.” West has a vibrant speaking career in which he gives lectures across the globe where he has fused his love for jazz improvisation into extemporaneous speaking. However, most of these speaking forums, albeit open to the public, are not really open to the public in a true sense. Most are on university campuses therefore the demographics of the audiences are overwhelmingly college educated and mostly white. Public indeed. Whether intentional or not, West has been rendered silent as far as the wider public is concerned, and it is extremely unfortunate. Even the few interviews West has given over the past few months with cable news outlets, his voice is falling on deaf ears. Rather than being held to critique and introspective reflection, West has been reduced to social media caricature, merely worthy of the latest meme and other forms of digital ridicule. West’s voice as an intellectual sage would be well needed in a moment in which the Black Lives Matter movement searches for footing on a national stage and playing in the major leagues of presidential politics. Missing in this post-Ferguson and pre-presidential election moment are the concurrent public discussions of the ethics surrounding the protests of Black Lives Matter engaging someone like Bernie Sanders; what does it mean that the top donors of Hillary Clinton’s campaign are corporations while those of Bernie Sanders are that of labor unions—and how that relates to the socio-politics of Black Lives Matter. Absent from this moment is the political and philosophical tradition that Black Lives Matter functions; part of a Black Power movement of the 1960s that birthed an Afro-Marxist philosophy as well as the continuation of a black liberation movement going back to the early 20th century. Again, while these conversations are being had, they are not in public spaces in which the broader public is able to access and willing to listen. 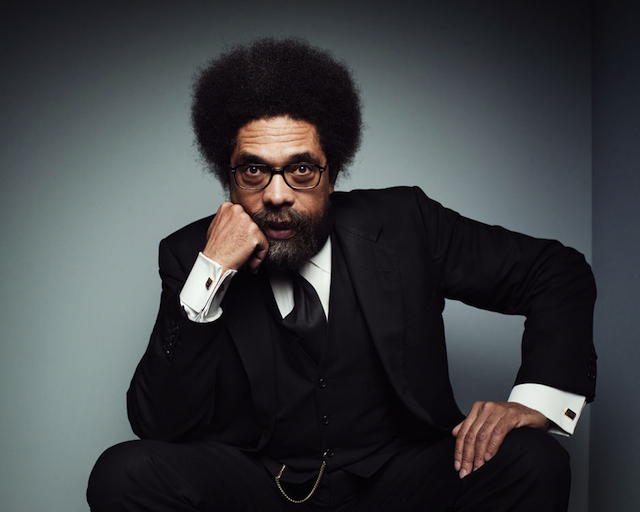 The current trend would state that there will not be another Cornel West any time soon. By the time Cornel West wrote Race Matters the stars had simply aligned for him to be catapulted into the singular seat of being a celebrity public intellectual, something this country has not seen really until this day. Cornel West is a household name in a way that no other public intellectual black, Latino, white or Asian has previously ascended to or has done so since. Despite the power of social media, no one person has had the staying power in the public sphere that West once had. While his relative silence may have signaled that we have entered a post-Cornel West era, ultimately he still determines if the sun had finally set on his era. Was a huge fan of Dr. West and Dyson…until the issues taken with President Obama. And nope…thats not because I am a supporter of the Commander and Chief. My issue with West and Dyson is “What did they expect, from President Obama’s Presidency? I found it laughable, that men more learned that I could ever aspire to be, believed something great would result for Blacks with Obama’s election. Who in their right mind, believes that “any” politician, can improve Black lives in a manner that would change its current course?